Joshua R. Niska, Sameer R. Keole, Barbara A. Pockaj, et al. Surgery followed by at least 5 weeks of daily whole breast radiation therapy is standard protocol for breast-conserving therapy. Evidence from recent studies suggests however, that a shortened course of therapy with hypofractionated whole-breast radiation, or no radiation therapy at all for some patients, leads to similar outcomes. Findings from another study also showed that although safety and long-term outcomes are inconclusive, switching the radiation delivery technique to 3-dimensional conformal radiotherapy (3DCRT) from intensity-modulated radiotherapy (IMRT) may be significantly cost saving. Based on this level 1 evidence, the American Society for Radiation Oncology (ASTRO) recommended shorter treatment schedules for women older than 50 with early-stage breast cancer, and reducing the routine use of IMRT for whole breast radiation therapy. By retrospectively analyzing medical records and estimated costs of treatment, investigators sought to demonstrate that rapid change based on level I evidence is feasible. Background: Recent trials in early-stage breast cancer support hypofractionated whole-breast radiotherapy (WBRT) as part of breast-conserving therapy (BCT). Evidence also suggests that radiotherapy (RT) omission may be reasonable for some patients over 70 years. Among radiation-delivery techniques, intensity-modulated RT (IMRT) is more expensive than 3-dimensional conformal RT (3DCRT). Based on this evidence, in 2013, the American Society for Radiation Oncology (ASTRO) recommended hypofractionated schedules for women aged ≥50 years with early-stage breast cancer and avoiding routine use of IMRT for WBRT. To assess response to level I evidence and adherence to ASTRO recommendations, we evaluated the pattern of RT use for early-stage breast cancer at our National Comprehensive Cancer Network institution from 2006 to 2008 and 2011 to 2013 and compared the results with national trends. Methods: Data from a prospective database were extracted to include patients treated with BCT, aged ≥50 years, with histologic findings of invasive ductal carcinoma, stage T1-T2N0M0, estrogen receptor-positive, and HER2 normal. We retrospectively reviewed the medical records and estimated costs based on 2016 Hospital Outpatient Prospective Payment System (technical fees) and Medicare Physician Fee Schedule (professional fees). Results: Among 55 cases from 2006 to 2008, treatment regimens were 11% hypofractionated, 69% traditional schedule, and 20% RT omission (29% of patients were aged >70 years). Among 83 cases from 2011 to 2013, treatment regimens were 54% hypofractionated, 19% traditional schedule, and 27% RT omission (48% of patients were aged >70 years). 3DCRT was used for all WBRT treatments. Direct medical cost estimates were as follows: 15 fractions 3DCRT, $7,197.87; 15 fractions IMRT, $11,232.33; 25 fractions 3DCRT, $9,731.39; and 25 fractions IMRT, $16,877.45. Conclusion: Despite apparent resistance to shorter radiation schedules in the United States, we demonstrate that rapid practice change in response to level I evidence is feasible. Wider adoption of evidence-based guidelines in early-stage breast cancer may substantially lower health care costs and improve convenience for patients without sacrificing oncologic outcomes. 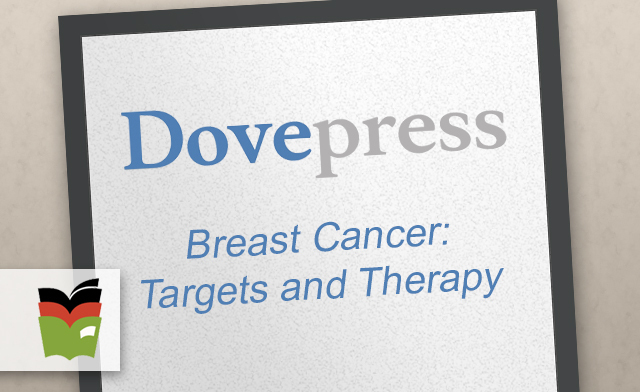 Breast-conserving therapy allows many women with breast cancer to avoid mastectomy. After surgery, women have typically received at least 5 weeks of daily radiation to the whole breast. However, recent studies have shown that 3 weeks of daily radiation to the whole breast or even no radiation at all are options for some women. In addition, expensive radiation-delivery techniques may not be necessary for most whole-breast radiation. Whole breast radiation practice patterns in the US have been slow to change. For appropriately selected patients, we evaluated our practice patterns with regard to shorter radiation schedules, omission of whole-breast radiation, and use of different radiation-delivery techniques. We showed rapid practice change favoring shorter radiation schedules and omission of whole-breast radiation. Estimated cost savings by using shorter radiation schedules with appropriate radiation-delivery techniques may be substantial. Importantly, by adopting these practice changes, women with breast cancer are spared weeks of potentially unnecessary treatment.